The Ecuadorian currency is American Dollars so, in writing, $ is used. The rate was around $1.35 to a euro. We had no problem getting money from ATMs (cajero automatico) using our debit card. We don’t use a credit card or traveler cheques. Easy to camp free of charge, whether rough-camping or in a parking lot (find our GPS Waypoints here). In roadside restaurants we spent $2.50 on average for a set meal (soup, main course and beverage). According to our (old) guidebook, National Parks would charge 10-dollar entrance fees. Nope, no longer so. The government abolished most entrance fees or lowered them to maybe 3 dollars. Diesel only costs one dollar per gallon! 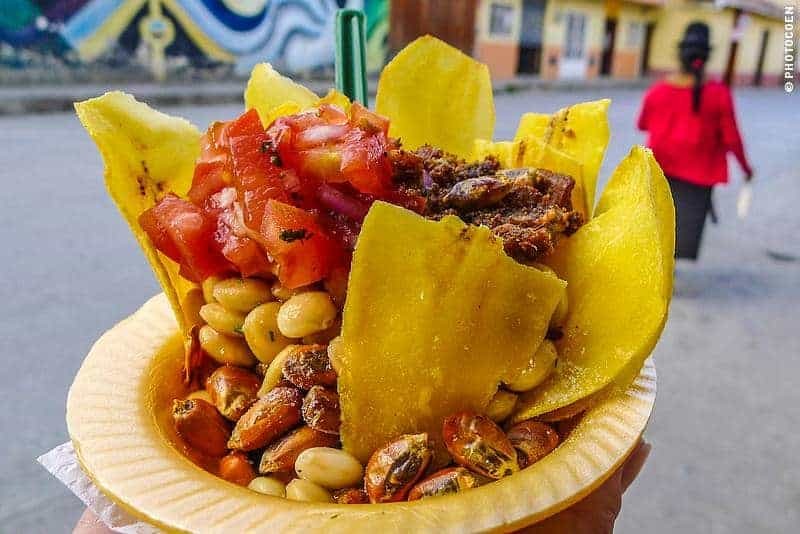 Now that is a major difference from Peru, Chile and Brazil, and incredibly good for your budget. Our visas were free of charge (for Europeans), which we got at the border. We got a three-month visa and, from what we understand, you can stay a maximum of three months per calendar year. We also heard that Ecuador tends to change its laws in this respect quite frequently, so do check for yourself what the latest status is. Ecuador 1: We entered and left the country at the small border of La Chonta / Zumba, which is on the southeastern border between Peru and Ecuador. Our visas were stamped in a thrice, but the car papers took two hours; the border official appeared to have never seen a computer before, let alone worked on one, so Coen eventually did the work for him (but a MAC guy behind a PC computer has its own complications…). 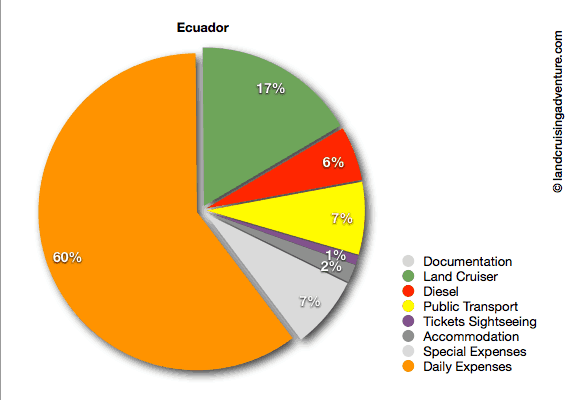 Ecuador 2: The most western border which is the most used. Easy going. And we got lucky: our first entrance was at the smallest, most eastern border. Apparently we were not properly registered there and so we got a three-month visa. Plus, we had just renewed our passports so no previous Ecuador stamps in our passport either. According to the rules we should have been given only more month but we got another three! 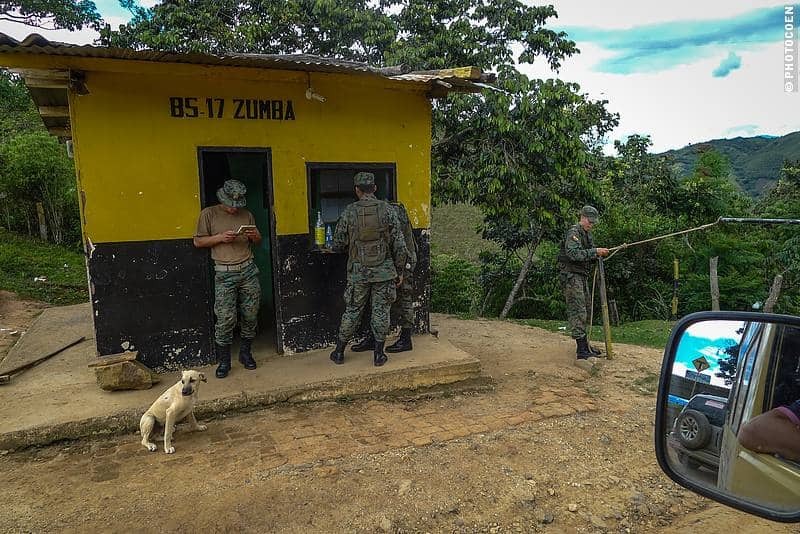 A couple of kilometers after the border crossing there is a military check point where you have to register. 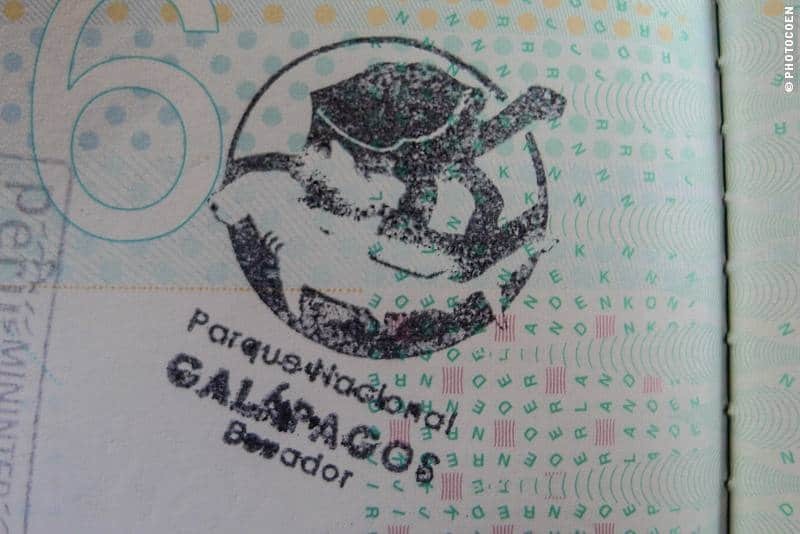 You don’ need a Carnet de Passage for Ecuador. At the border you are issued with a Temporary Import Document (TID) for your vehicle, which is valid for three months. As far as we know it, you can’t extend this document. The document has explanations in English and warns for overstaying with a stiff U$ 380 per day penalty. Truth be said, Ecuador is such a small country that normally you can pretty much cover the farthest corners and everything in between in that timeframe. Unsurprisingly, we didn’t manage to do that. Our excuse this time: we camped for four weeks in a workshop in Quito (I wrote about it here). Apart from a flat tire we had no issues while driving. However, was some maintenance needed to be done and so in Quito we found a workshop. We absolutely recommend Pedro Villota’s Workshop (He recently moved his workshop and we don’t have his new address, but his phone will still work, we assume. Tel: 5923 334-0111). 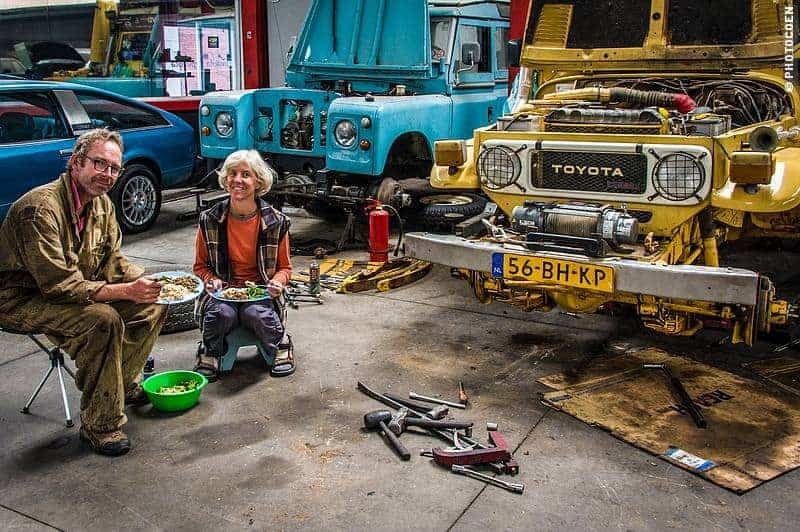 He is an ex-race-car technician and, unsurprisingly, passionate about cars. 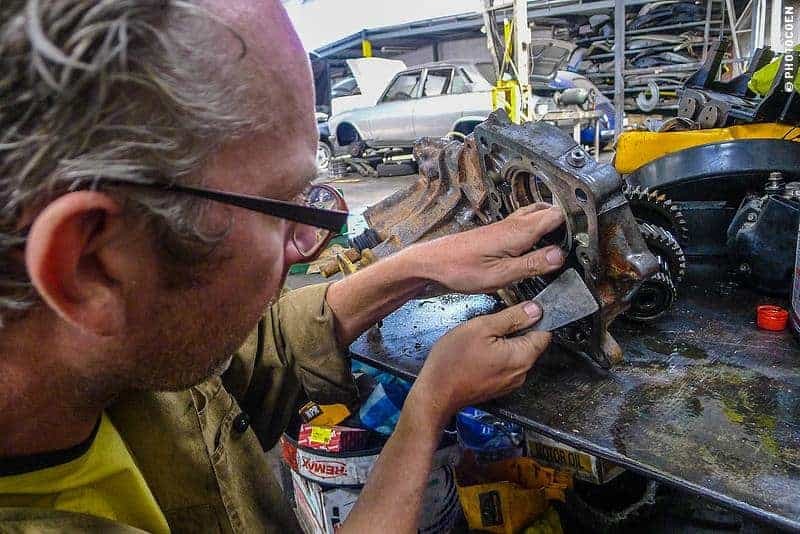 For him having a workshop is not just about making money. You feel and see that in everything he does. We found him thorough in his work and fair in judging in what needed to be done, what could be done, and what could wait. The good news is that you pay 1 US dollar for a gallon (for non-gallon users: there are 3.76 liters to the gallon). Gas stations were everywhere and we never found them out of diesel. A note on gasoline: Our Coleman stove runs on gasoline, and never in South America did our stove burn so badly as in Ecuador – lots of orange flames instead of blue ones, blackening our pots and pans. So we assume that Ecuadorian gasoline may be of inferior quality (no idea if we were unlucky the three times we filled up our jerrycan, or that this is the case everywhere). Oh yeah, where’s the motorcycle?! 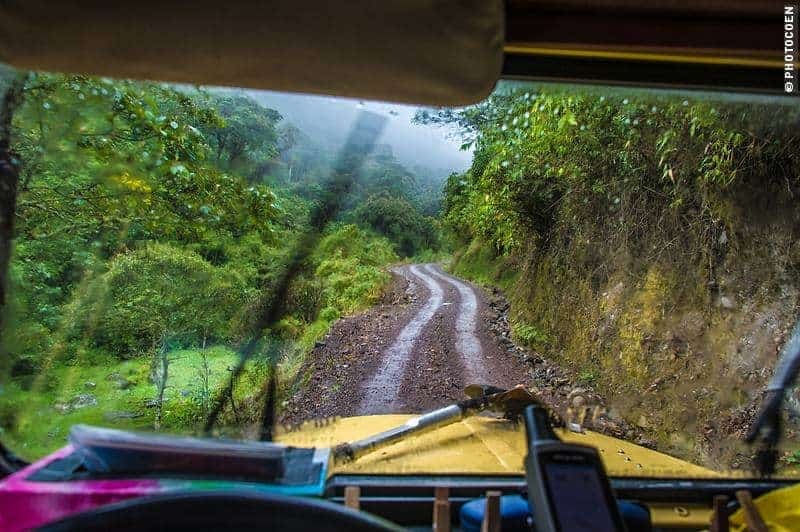 In Ecuador, the roads vary from excellent asphalt to potholed and washboard dirt roads. Of course, there is the Pan Americana which is asphalted but which we found, just like in Peru, the most uninspiring road. 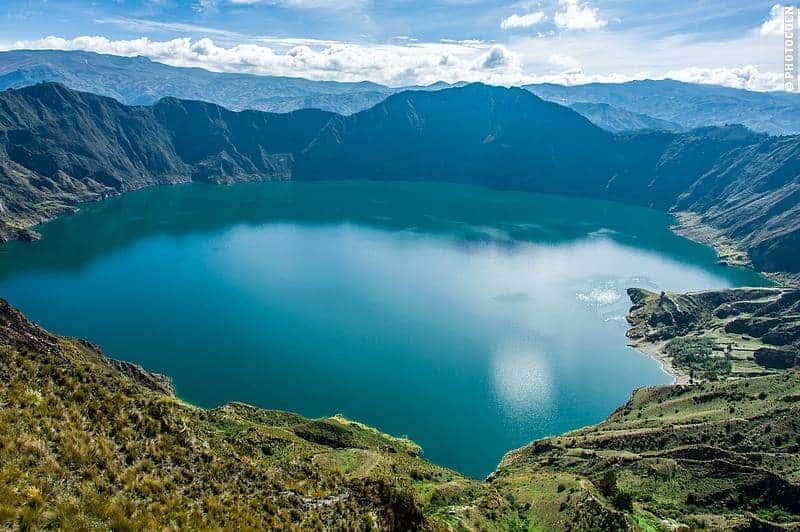 To explore Ecuador, get away from the Pan Am and take loops to the east, the west, wherever, but away from that thoroughfare. Coen had an interesting observation: he feels that roads in Ecuador are much steeper than elsewhere in South America. He constantly drove in 1st and 2nd, whether going up or down, whereas he feels that in the Andes Mountains of e.g. Peru he could often leisurely cruise in 3rd. 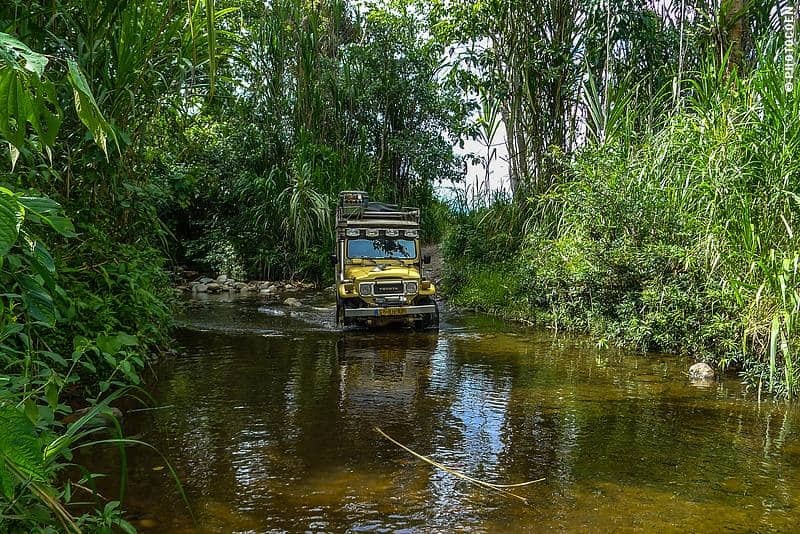 We’d be interested in hearing if you felt the same driving in Ecuador’s mountains. Feb ’14: they were still working on the road from the border of Zumba up north to Vilcabamba. Not sure, but I reckon half of that route has been asphalted (the northern section) and the rest is work underway. Expect to have to wait for a long time due to road work. Sometimes they only allow cars to pass before 7 am, between 12 am-1 pm and after 6 pm. Also, note that when it rains it may be very difficult to pass with vehicles that don’t have a high clearance. On the Pan Am we paid toll a couple of times but it wasn’t much. As usual we stuck to our Reise Knowhow Map, which is among our favorite brands of roadmaps. We’ve also had good experiences with Nelles Verlag Maps and International Travel Maps. Our standard guidebook is Lonely Planet. Although quality can differ quite a bit per country and edition, we generally find it gives a good overview of the country. 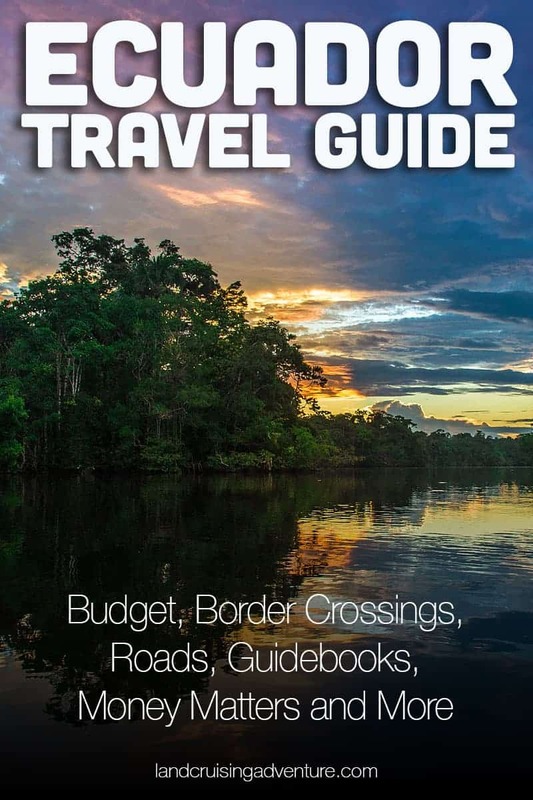 We use this book to get a feel for the country and once we’ve crossed the border we will search for local guidebooks and other sources of information. 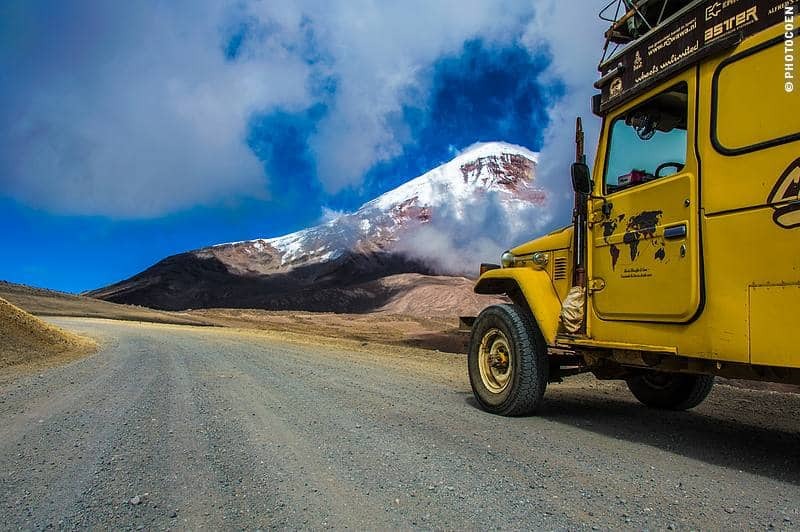 Other travelers, especially overlanders, are smitten with the South American Handbook as it is more focused on road travel. I have also enjoyed Lonely Planet’s phrasebooks and find its Healthy Travel booklets useful as well. 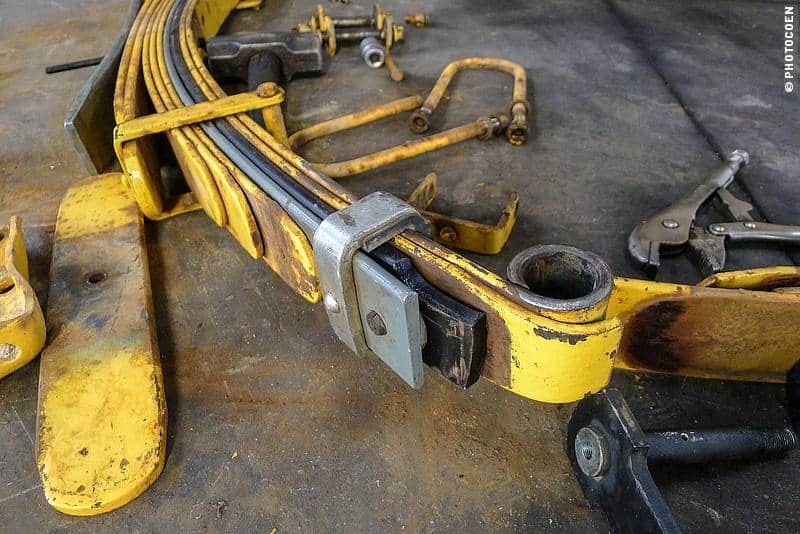 Nothing of note, but if you’re interested in how taxis, but also regular cars, maintain their cars, check out Coen’s post on wheel nuts. We didn’t spend much on sightseeing, mostly because there aren’t that many sites (compared to e.g. 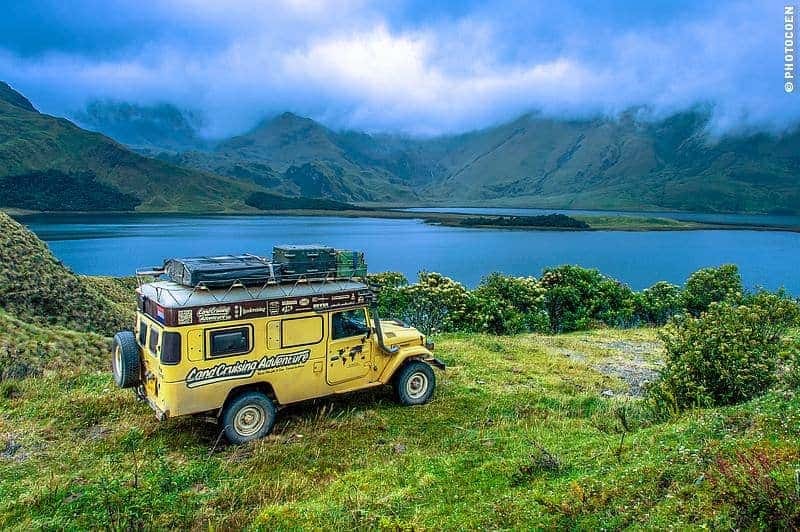 Peru) and national parks were mostly free of charge. We recommend going to those parks because they are absolutely beautiful for hiking, more than for camping we have to say. Besides national parks we wandered around quite a bit in Cuenca, a town we really enjoyed, and to a lesser extent in Quito. In Quito we spent a lot of time in Parque Carolina, which especially is fun on weekends with families spending the day in the park, but we also enjoyed running there early in the morning. 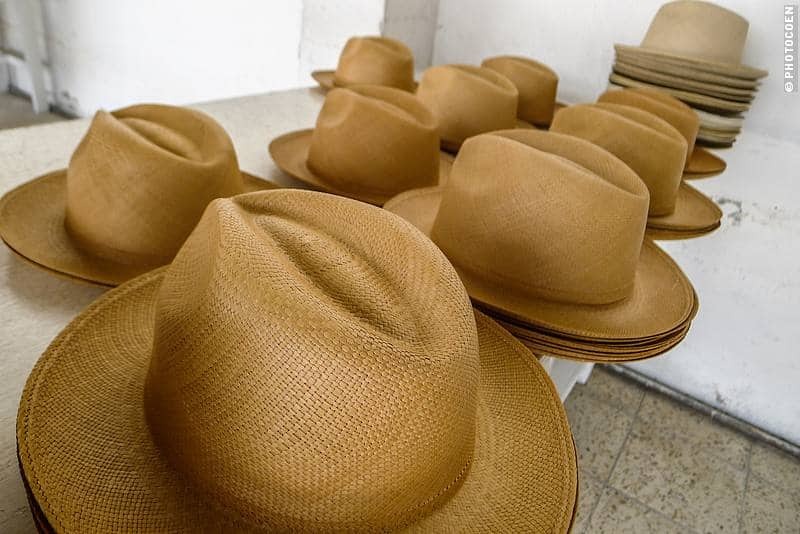 Panama Hat museum in Cuenca. Monkey Rescue Center in Puyo. 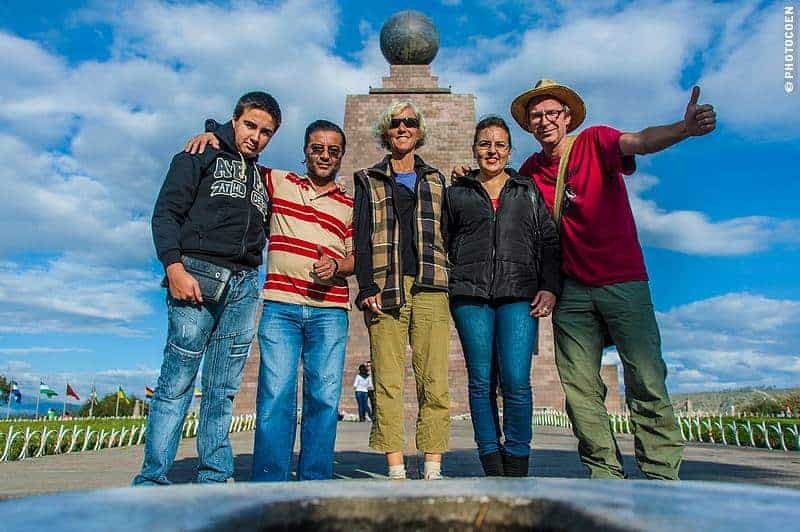 Arguably South America’s biggest tourist trap, in our eyes, is Mitad del Mundo. 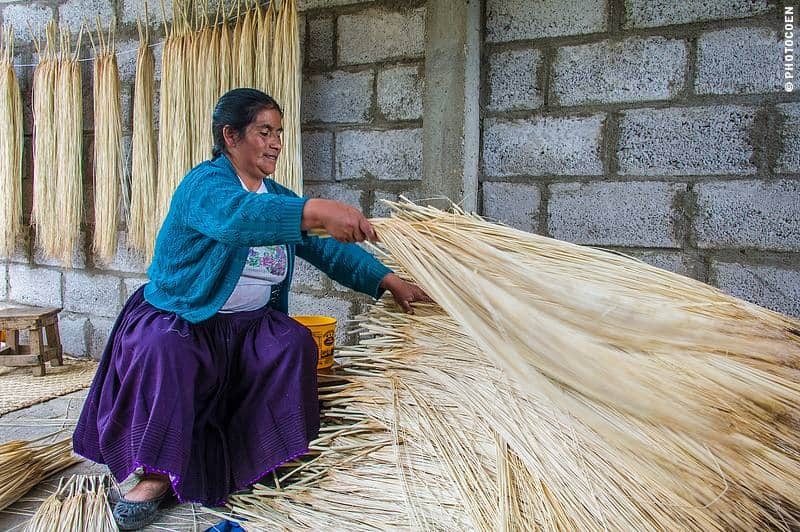 Machu Picchu may be touristic, but this is a tourist trap – there’s a difference. The only reason to go is to spend time with locals and having a good time no matter where you are. Thanks Santiago, for our time together! Spent a great day with Camper Clan in Quito. Thanks guys! In Cuenca stayed with people who invited us via the Internet but otherwise we (rough) camped in Ecuador. The only time we paid for camping was at the Rumi Wilco Ecolodge in Vilcabamba. Important: in Ecuador you can often drink water from the tap. Just ask the locals to make sure where but we learned that e.g. in Cuenca and Quito they have treated tap water throughout the city. No need to buy those plastic bottles! Like I mentioned in the Money Matter section, an average almuerzo will cost you around $2.50 for a soup, main meal and a beverage. 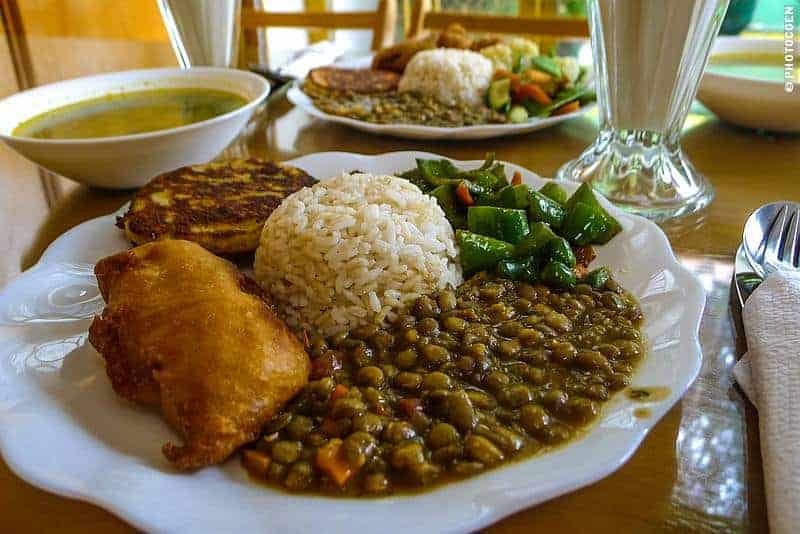 Ecuador appears to have more vegetarian restaurants than we encountered elsewhere. But even in regular restaurants it was generally no problem to swap meat for menestras (legumes). 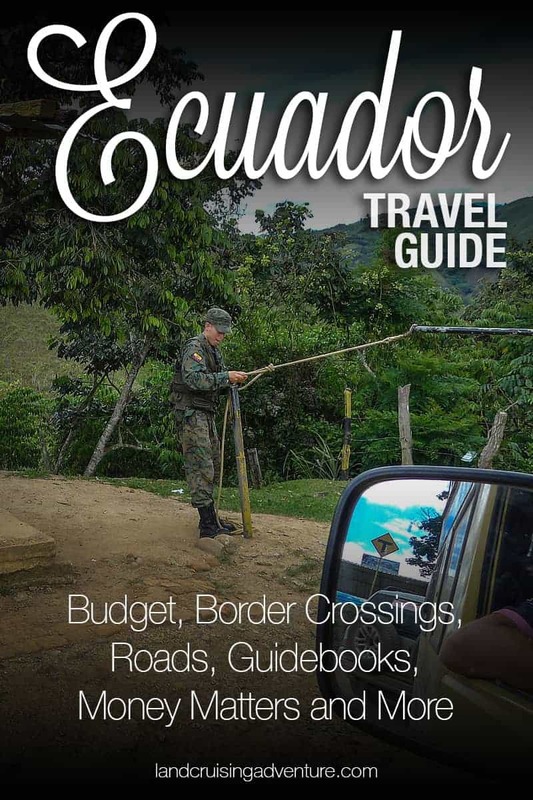 We hope you found this Ecuador Travel Guide useful. What are your experiences? Feel free to share them with us in the comments below. How Do You Determine the Safety of a Region? Cheers! Maybe see you somewhere in North America ! Thanks for sharing your experience with regard to buying fuel. Sounds like it got worse since we crossed there beginning of this month. We did a lot of fishtailing in the mud and indeed were happy were our high-clearance vehicle. Glad to hear you did make it across. Where are ou heading now? (A bridge collapsed between Balsas and Cajamarca; repairs may take a month). Apparently it rained a lot in this are recently. 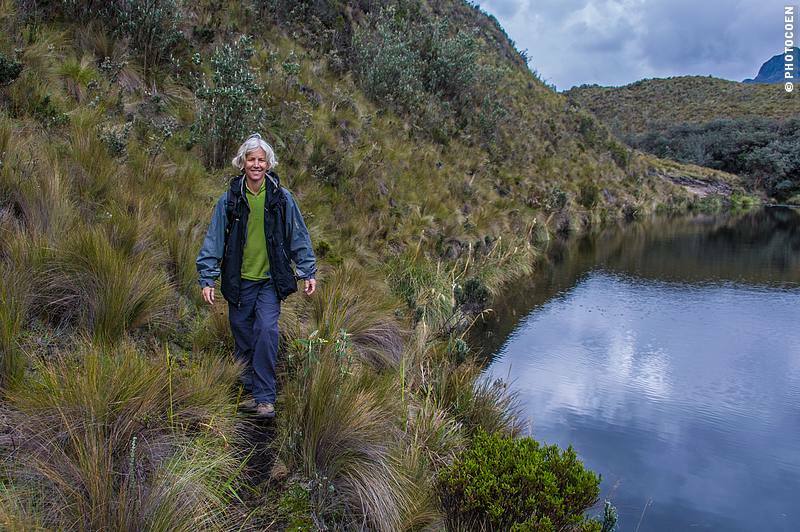 We are headed to Kuelap, Peru. So be aware that the repairs will take at least three more weeks to fix the bridge on the road between Chachapoyas and Cajamarca. Check before you head out. The bus company on Salamanca street [-6.227147, -77.872746] in Chachapoyas has daily busses on that route and can give you the needed information. 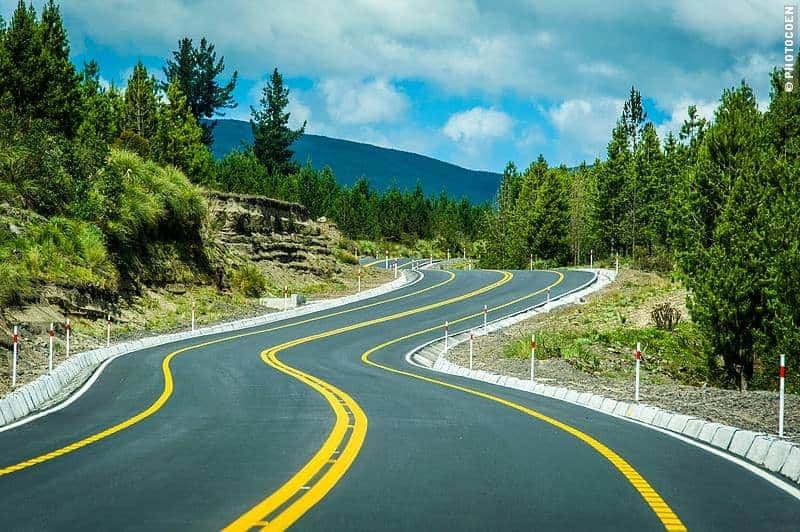 And regarding the steepness of roads in Ecuador – I also noticed I am spending a lot of time in second and third gear, but I think it might have something to do with the quality of fuel. I noticed the van is a bit lazier lately. Good luck. About the insurance. SOAT is available everywhere. If you need it only for a short period, you should shop around. We’re in it for the long period 😉 Quality of the fuel could be. Are you guys driving gasoline or diesel? Necesito un avance de tarjeta de crédito (o banco) de – – – – – dolares. Hmm, aren’t you talking about a credit card? We only use or bank card, or debit card as you will. I think all European bank cards have chips in them. Don’t know about the credit cards though. hi to both and greetings from Portugal ! Iwish to congratulate you for the VERY good texts , very well written indeed ! Wish you safe continuation and maybe we’ll meet somewhere in south or north america , that’s the destination of our next trip in 2015.
take good care of yourselves ! 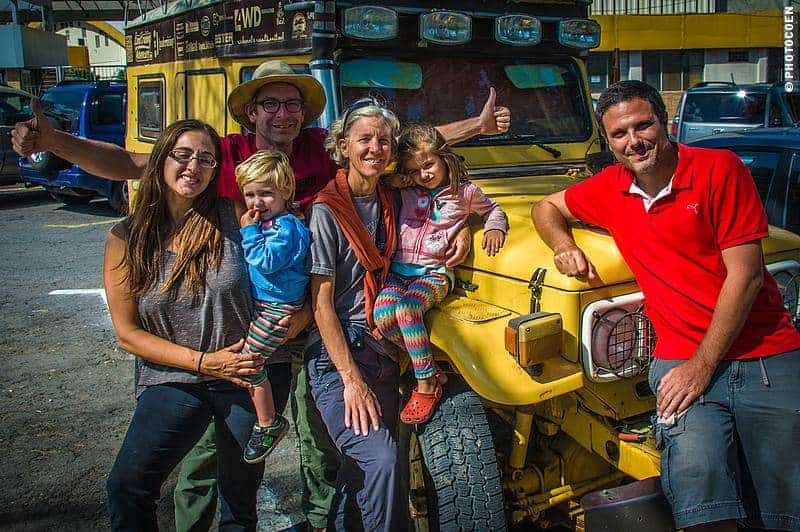 Thank you David and Marilia and hope to see you on the road somewhere! as always, very beautiful photographs and interesting information …… we leave with the Mercedes at the end of the month…so long…..